TechInAfrica – The tech space in Africa has been growing rapidly yet mostly dominated by male. This reality has inspired a Fempower Africa to increase the number of women who partake in the technological space. Fempower Africa in conjunction with SystemSpecs provides training and coaching program to equip African women with entrepreneurial, leadership, and technological skills. The two entities have committed to empowering women to be involved in technological innovations in Africa. According to Ojomo Mercy Agada, Software Quality Assurance at SystemSpecs, tech space is not supposed to only for men. Instead, women are able to partake in the industry as it offers solutions to real-world problems. “We are creating the awareness to tell women they can make it in tech, it is not a male-dominated world. The tech world is vast so my advice to women is to discover their tech skills and create a niche for themselves,” Agada said. On the other hand, Victoria Etim-Bassey, Software Developer at SystemSpecs encouraged more women to join the coding world in order to drive more disruptive technologies and innovations in Nigeria. In fact, it was a positive move in order to make the tech space in the country more alive and complete. 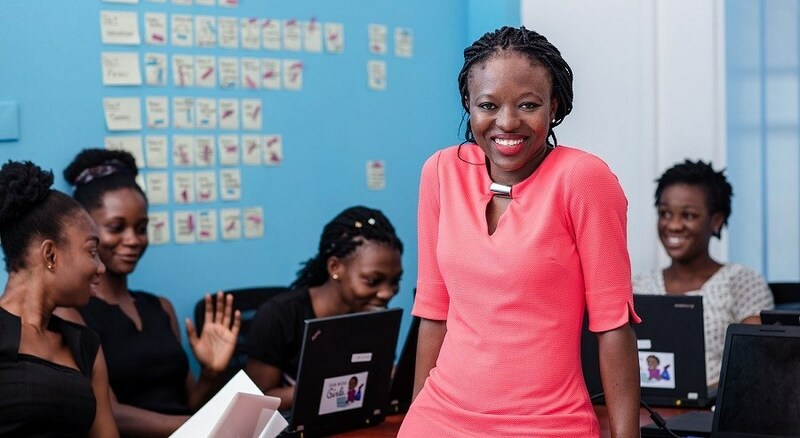 In addition to the support for women involved in the tech space, Olawumi Onawunmi, the Director of Succes at Andela Nigeria highlighted that women have special powers and can do multitasking as well as can bring a great difference in the tech sphere, only if they decide to take a career path in technology. Furthermore, Onawunmi also suggested women not to fear of failure. Instead, take it as a big opportunity in their journey of success in the tech space.